For more than 38 years, Eldan Homes has meant quality construction in Central New York. It was Daniel Barnaba’s Sr.’s dream back in 1976 to establish a home construction company that families could rely on for high quality, reliable craftsmanship and attention to fine details. Today, Eldan Homes has exceeded Barnaba’s expectations. Under the supervision of his son, Daniel Barnaba, Jr., Eldan Homes’ beautifully-crafted, quality-built homes continue to be elegant landmarks in Central New York communities. 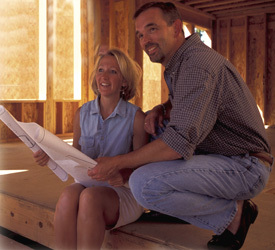 It is our mission to be a leader in the design and construction of new homes. We will provide our customers with a quality home and a delightful purchase experience, our suppliers and contractors with a valued partner, and our community with a friendly and responsible corporate citizen. We will be innovative in our efforts to improve our products and procedures. Our employees will have a safe work environment and the opportunity for professional and personal growth. We will use ethical practices in all our business endeavors.